As a newspaper reporter in New Jersey and California for more than thirteen years, Yaffe covered education, the law, and state government. 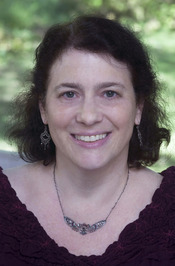 Her first book, Other People’s Children: The Battle for Justice and E Deborah Yaffe, the author of Among the Janeites: A Journey Through the World of Jane Austen Fandom, has been a passionate Jane Austen fan since first reading Pride and Prejudice at age ten. She joined the Jane Austen Society of North America at sixteen; owns an impressive collection of Austen-themed coffee mugs, bookmarks, tote bags and DVDs; and spends way too much time hanging around the Republic of Pemberley (www.pemberley.com) arguing over whether Anne Elliot or Captain Wentworth is more to blame for their eight-year estrangement. To ask Deborah Yaffe questions, please sign up. Tomorrow is Mansfield Park’s two hundredth birthday, and what’s a birthday without a party? Our host is the writer and blogger Sarah Emsley, who has planned her blog’s celebration, ,” around a series of weekly guest posts by forty-two Janeites – bloggers, scholars, journalists and authors of Austen spinoff fiction.